Pistol is a one-credit sports studies course. Classes are two hours long and meet once a week for eight weeks. Safety and shooting equipment is provided for dry- and live-fire exercises. Introduction to Shooting Sports is the class’s only prerequisite. 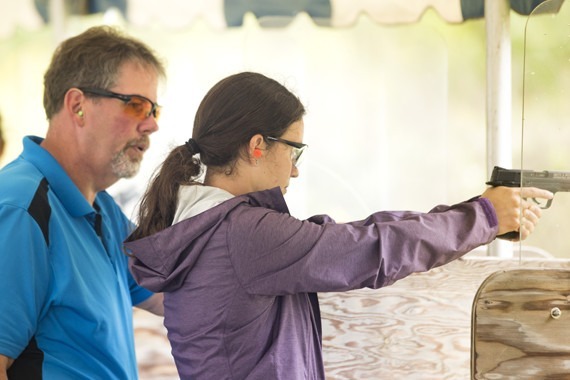 The fundamental skills taught in this course provide a foundation for those wanting to pursue pistol-shooting activities at other facilities. Practical/tactical gun skills, such as moving to engagement, speed loading, target acquisition, and rapid-fire, are not covered.